Manchester United shocking Bayern Munich in the 1998/99 Champions League final went down into history books as one of the most famous football matches. However, in terms of performance, Manchester Unitedai??i? ?s come-from-behind victory in Turin was possibly the pinnacle of their treble season. Even Sir Alex Ferguson had to admit in the post-match conference that the first half performance was best under his reign at Old Trafford. Manchester United needed an incredible team performance to stop Juventus that night but one man stood out ai??i?? 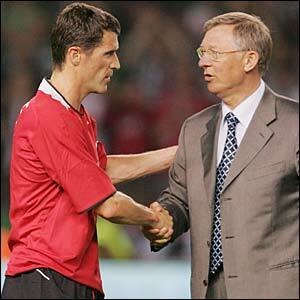 captain fantastic Roy Keane. Andy Cole and Peter Schmeichel also played crucial roles. After reaching three back to back Champions League finals under Marcelo Lippi, the Juventus juggernaut was showing signs of slowing down in 98/99 season. They never looked like challenging for the title and such was the degree of their mediocrity that Lippi was let go in middle of the season, to be replaced by Carlo Ancelotti. Alessandro Del Pieroai??i? ?s horror injury had robbed the team off inspiration. They were almost knocked out by Olympiakos in the quarter-finals on away goals before an Antonio Conte strike in the 85th minute in Athens saved the day for the Old Lady. Bianconeriai??i? ?s performance at Old Trafford in the first leg was somewhat of a contrast to their season as they dominated the first half. A Conte goal looked good for wrapping up a 0-1 win before Paul Scholes cancelled it out late in the match. They had another encouraging result before this match, a 3-1 away win against Lazio. 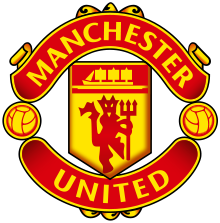 Manchester United came into this match on high confidence if slightly jaded after a memorable victory against Arsenal in the FA Cup semi-final, following it up with a 3-0 kyboshing of Sheffield Wednesday. 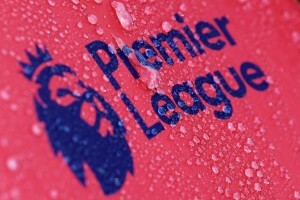 The Red Devils were engaged in a close battle for the Premier League title with Arsenal and they were looking strong contenders to become the first English side to do the ai???trebleai??? since Bob Paisleyai??i? ?s Liverpool came tantalizingly close 22 years before. They were also looking to reach their first final in Europeai??i? ?s elite competition after a wait of three decades. Before this match, Manchester United had never won a match in Italy while Juve themselves had lost just once to English opponents at home. Manchester United lined up without two of their midfield regulars ai??i?? Scholes started on the bench while Giggs was injured. 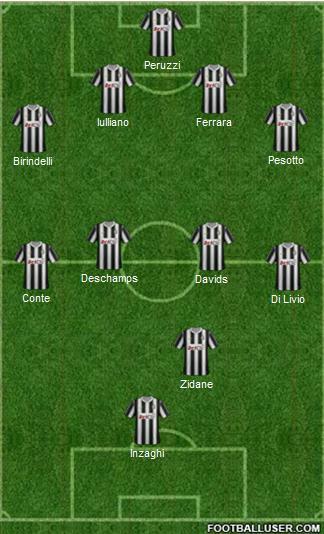 Juventus, on the other hand had Paolo Montero on bench. Juventus started out with a 4-4-1-1 formation with Zidane playing behind Inzaghi while Manchester United started with a 4-4-2. Both teams tried to get a control of the midfield after Urs Meier blew the starting whistle. It was the home team which created the first scoring opportunity as Inzaghi almost escaped Japp Stam to reach a pass from Zidane. It took Juventus just six minutes to take the lead as Inzaghi slipped past Gary Neville to meet Zidaneai??i? ?s delivery. It was a typical Inzaghi goal. It took the Red Devils just a minute to create a chance of their own. Gary Neville ran deep into Juve’s penalty box before pulling back a pass for Cole, whose acrobatic back volley was aimed straight at Peruzzi. Four minutes after the first goal, the Zidane-Inzaghi pair once again combined to double Juveai??i? ?s lead. The Frenchmanai??i? ?s threaded pass fell to Inzaghi who once again escaped Stam before trying his luck with a left footer. His shot re-couched Stamai??i? ?s outstretched leg before looping over a helpless Schmeichel. Despite being 2-0 down, Manchester United were not getting outplayed, on the contrary they were slowly taking control of the midfield. They were also stretching Juventus on wingsAi? ?with every passing minuteAi? ?as Birindelli and Pesotto struggled to pick the movement of opponent wingers. Cole and Yorke almost combined to pull a goal back on 18th minute but the latter failed to keep his composure after easing past Iulliano. Yorke was causing all sorts of problems to Iulliano as three minutes later he muscled past him only to be dragged down by Ferrara at the edge of the box. Manchester United were looking increasingly dangerous. The inevitable goal came on 24th minute as Keane leapt up between Zidane and Pesotto to meet Beckhamai??i? ?s corner. At 2-1, all Manchester United needed was to score another goal and progress on away goals. The hosts were suffering from an attack of nerves as the number of miss passes from Juventus players increased. By the half hour mark, Manchester United were enjoying a 62% ball possessionAi? ?as Juventus retired into a defensive cocoon. Juventus almost scored a third, against the run of play, just before the half-hour mark. Zidaneai??i? ?s cross hit Conte and looped over Schmeichel who had come out to punch it. Stam made a last ditch clearance off the goal line and saved Manchester United’s blushes. Three minutes later Manchester United pulled level with a goal which was scored after five touches. Nevilleai??i? ?s long ball from right flank was headed down by Beckham towards Cole on the right edge of penalty box. Cole took one touch and floated the ball towards Yorke who peeled away from Ferrara to head past Peruzzi. Manchester United were on their way to Barcelona. They were going through but this was not a Manchester United side who would sit back on that score line. Few minutes after the second goal, Cole expertly turned past Ferrara and forced a save from Peruzzi from close range. Two minutes before the half-time whistle, Juventus’ defence was once again left clutching thin air as Yorkeai??i? ?s shot beat Peruzzi before hitting the post. Ancelotti brought in two changes in half time, Montero replaced the misfiring Iuliano and Nicola Amaruso came in for Birindelli as Juve too switched to a 4-4-2. The Bianconeri had first chance to go ahead in second half. Inzaghi, one of the few Juventus players doing justice to their reputation, stole his way into the penalty box to meet Pessottoai??i? ?s pass, only to see Schmeichel deny him with his legs. Juventus were looking in much better shape in the second half as their midfield was starting to function with Zidane dropping deep. They enjoyed better ball possession but lacked the killer final pass. Pippo Inzaghi came close to scoring twice before the hour mark. Once he was correctly chalked off for offside while the occasion was Johnsen make a desperate last ditch clearance. Despite taking turns to mark him, none of the Manchester United defenders were able to anticipate his movements. Manchester United had two golden chances to take the lead as well. On 54th minute Beckham found space on the flank to launch a pin point cross towards an unmarked Cole. Cole, however, failed to control the ball properly as the chance went begging. They hit the post once again on 70th minute, this time Denis Irwin. His follow up shot was saved by Peruzzi. With twelve minutes left on the clock, Juventus brought in one more striker to switch to a 3-4-3 formation. Fonsecaai??i? ?s first touch, however, was to clear off a Yorke header off the line. In the 81st minute, he made his first attacking contribution as his pass almost found Inzaghi in point blank range before crawling across the goal. Playing with three defenders and with just one wing-back was leaving Juventus completely exposed to Manchester Unitedai??i? ?s already strong wing play. Sure enough, Gary Neville found acres of space on 82nd minute only to see Coleai??i? ?s weak effort being saved by Peruzzi. Five minutes before the final whistle Dwight Yorke went through both Juve center-backs as if he was invisible only to be brought down by Peruzzi. Cole, who was following up, rolled the loose ball into the net. Manchester United had just completed a memorable comeback and they were going to the final to face Bayern. As the final whistle went off Manchester United became the first English team since the Heysel ban to reach an European Cup final. They also became the first team to knock Juventus out of a semi-final Champions League era as the hosts were left salvaging scraps in a season which would end in shambles. Filippo Inzaghi looked most dangerous when the ball was played in front of him on the ground. On multiple occasions he skipped past the Manchester United central defence to meet a threaded ball. Strangely, rest of his teammates chose to rely on aerial balls as the match progressed. In second half, with Juve dominating possession, they played an almost ai???Englishai??? game of launching long balls into the box. The imposing Japp Stam had very little problem in dealing with aerial delivery. Ancelottiai??i? ?s decision to play Edgar Davids on the left flank in second half backfired completely as the Dutchman, who anyway had a forgettable match, barely gave any width to Juventus. He also failed to properly shut down Beckham and Nevilleai??i? ?s runs, leaving Juventus open to counter attacks. A main problem for Juve in 1998/99 season was scoring goals but their defence did hold itself strong. However, in this match the central defence was completely in disarray. Paolo Monteroai??i? ?s ferocious presence was missing so Dwight Yorke and Andy Cole found both time and space in and around the penalty box. The Manchester United front two had developed a wonderful understanding and they left Ferrara and Iuliano breathless and always a yard behind. The clichAi?? of matches being won in the midfield was proven right in this match. Roy Keaneai??i? ?s performance usually gets most of the spotlight but Rony Johnsen was equally important in Turin. Together they not only neutralized Antonio Conte and Davids but also ensured that the Red Devils maintained a healthy percentage of possession. There was often a gap between Zidane and rest of midfield which made the Frenchman drop deeper and leaving Inzaghi all alone up top. Zidane was pulled back into central midfield for good in second half as Ancelotti brought on another striker. Unsurprisingly Juventus played better in second half, albeit too little too late. The Guardian pointed that the biggest contribution from Roy Keane in this match was his ai?? ?rhythmic, hypnotic passingai???. Indeed it was. Roy Keane didnai??i? ?t just effectively neutralize Juventus midfield, arguably the best in Europe at that point but he also ensured that Manchester United made proper use of the retrieved possession. Despite scoring two early goals, Juventus never looked fully comfortable in that period. Roy Keane had formidable opponents in midfield in the form of Deschamps and Davids but he managed to neutralize both (with no small help from Johnsen). With Keane taking control of the midfield, Davids dropped down even deeper and had to focus more on stopping Keaneai??i? ?s attacking moves, leaving a big gap between Juve midfield and the forward line. Roy Keaneai??i? ?s first goal, though coming as a result of some poor marking, was timed to perfection. Rest of the team rallied around him when they saw the captain put one away. After reaching five back-to-back European finals, Juventus would go into a mini slump. They would eventually finish a dismal seventh in Serie A before finishing runners-up in back-to-back close Serie A races. Carlo Ancelotti failed to perform the European miracles he would later enjoy in San Siro in Turin as Juventus failed to make a mark in Europe in following seasons. Manchester United, on the other hand would go on to script a generation defining season by winning the treble. The final against Bayern Munich included lot of drama as well, keeping in sync with the entertainersai??i?? tag that Sir Alexai??i? ?s team carried at that time. The Scot himself would receive knighthood after the Champions League title. In a lot of ways the current worldwide fame of Manchester United was a result of the drama of their treble season and this match played a big part in it.